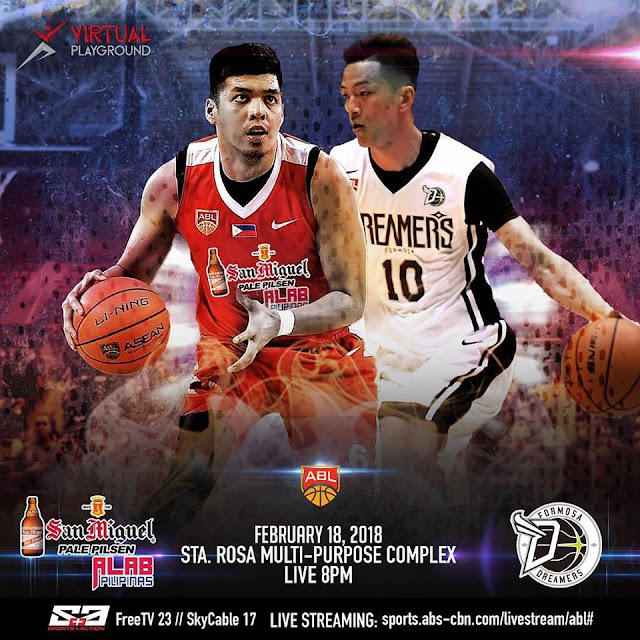 San Miguel Alab Pilipinas takes on Taiwan’s Formosa Dreamers bukas February 18, 2018 at Sta. Rosa Multi-purpose Complex in Laguna. Alab no. 1 team in ABL vs the weakest team so far at 9th place. Ticket Prices: Lower Box - P100, Upper Box - P50. Mapapanood din ng live ang laban sa ABS CBN Sports and Action around 8PM.